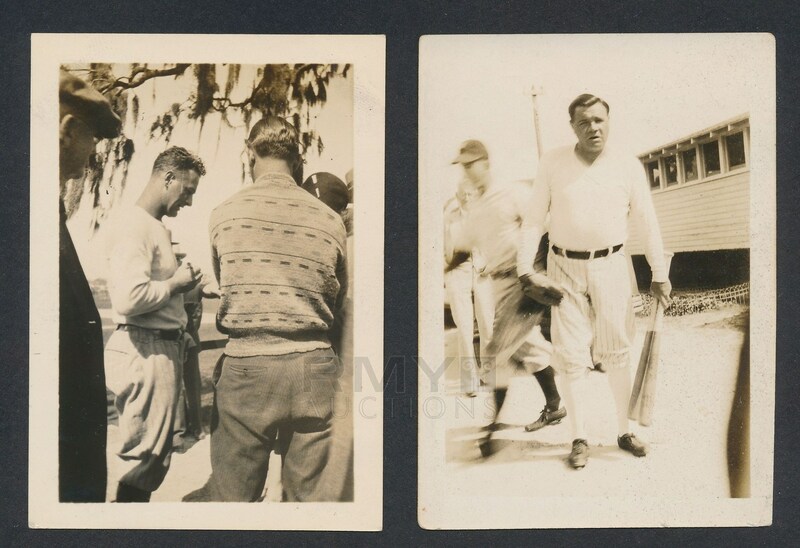 Original c. 1929 set of two snapshot photographs picturing Babe Ruth and Lou Gehrig at spring training. In the one image Ruth is pictured at the clubhouse in Crescent Lake, Florida and carrying his own bats! 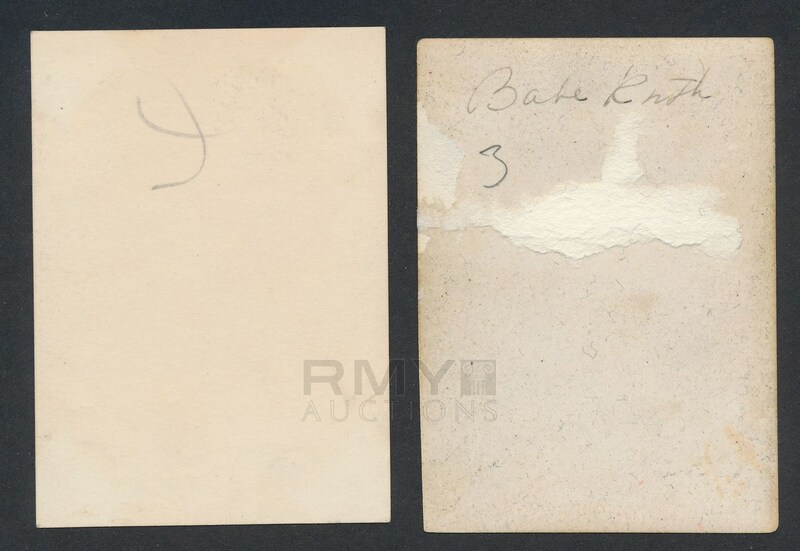 In the second photo Gehrig signs an autograph for a lucky fan. These were taken at about the same time and come from the same group so it is natural that they should stay together. Condition and quality are both outstanding.